Creation of new systems of consumption for an event in the automotive sector. 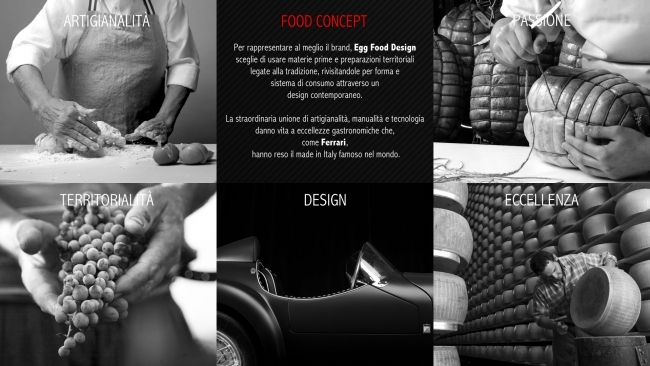 The event is designed for a famous company of Modena. 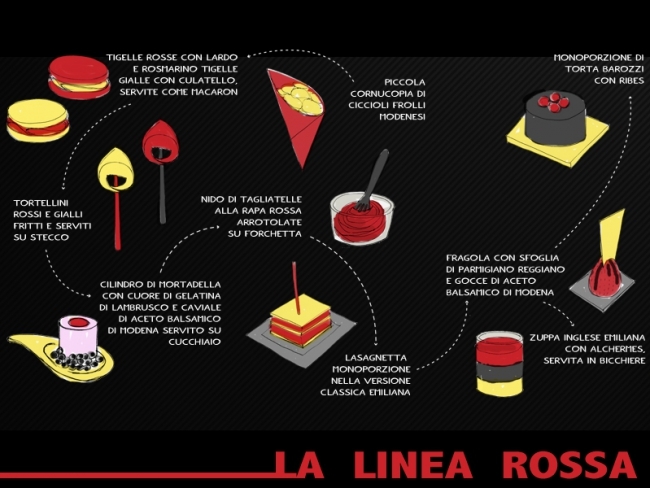 Revisiting traditional recipes from Emilia in shape and in systems of consumption. All recipes are ideated in the institutional colors of the company. The brand values: design, tradition and innovation are recounted in multi sensory experience through tasting these three-colours portions.